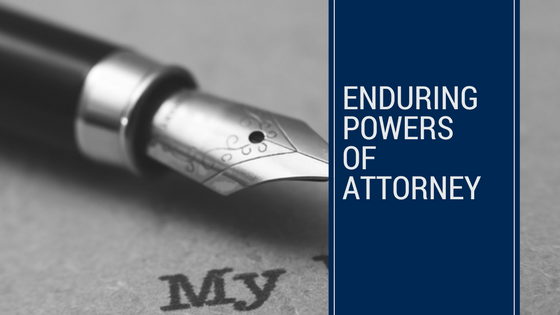 An Enduring Power of Attorney is like a living will. It outlines your wishes regarding your finances and/or health in the event that you lose capacity to make decisions due to age, illness or accident. A person or number of persons are named as attorneys who will act on your behalf. An Enduring Power of Attorney should set out what kind of decisions should be made, and how such decisions should be made if there is more than one appointed attorney. Should you lose capacity without an Enduring Power of Attorney in place, the Public Trustees and/or the Public Guardian automatically make decisions on your behalf. In this instance, family members must make an urgent application to a tribunal to be legally appointed as your decision maker. It’s important to know that without your wishes recorded, those appointed may make decisions on your behalf that you would not have agreed with. Enduring Power of Attorney documents available from the internet may appear simple and straightforward, but there are some matters missing from these documents. Many people do not wish their attorney’s power to commence until they have lost capacity. In that case you need in the document a clear definition of the incapacity to be evident before the power can be exercised. Should Charities Get Involved in Contested Wills?